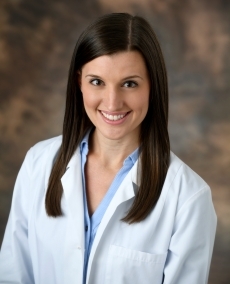 Caroline Breska, MMS, PA-C, is a board-certified physician assistant specializing in pediatric neurosurgery. She has a special interest in Neurofibromatosis, Neuro-Oncology, and Neonatology. She completed her undergraduate education at the University of Central Florida and earned her Master of Medical Science degree specializing in physician assistant studies at Nova Southeastern University in Ft. Myers where she was inducted into the Pi Alpha National Honor Society for Physician Assistants. She previously worked in a primary care/urgent care clinic in Orlando. Caroline is actively involved in the leadership of the Florida Academy of Physician Assistants and frequently volunteers her time for community health events and charitable endeavors.